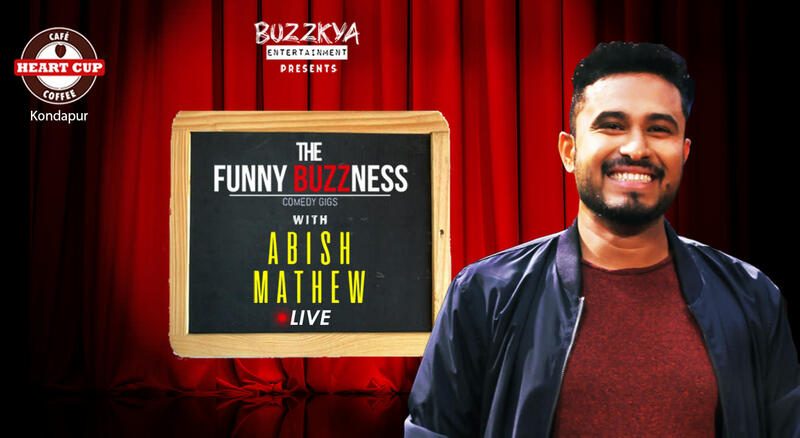 Abish Mathew is one of the most versatile content creators in the country today, and one of the most recognizable and beloved by audiences. As a stand-up comedian, he has performed over a 1000 shows across India and the world. His global performances include appearing at the prestigious New York Comedy Club (USA), Lafflines (Canada) and the Utrecht International Comedy Festival (Holland). With his brand of clean humour, often punctuated with an appearance by his guitar, has won over crowds in clubs, colleges and corporates alike. Apart from this, he’s a prolific content creator. Abish is on tour with his 1 hour comedy special. Heart Cup Kondapur is known to host classy acts in music and comedy.Some of the best the country have performed here. Food and Alcohol can be had before or after the show.Ticket price includes a cover of 100 rupees which can be redeemed at the venue against FNB.